Many vehicles profess to be great for your family, but the 2019 VW Atlas does more than just say it! This midsize family SUV has the size and features to back it up. Your Atlas will have enough room to seat seven comfortably, with ample headroom, legroom, and overall room for the entire family! In fact, the second row is spacious enough to hold three child safety seats….that is pretty impressive! Access to the third row is so simple, it only takes one hand to fold the second row out of the way. There is also plenty of room for cargo too. Fold down the second and third rows to haul whatever you need in the ample 96.8 cubic feet of cargo space. Or configure the seating and cargo areas to accommodate what you need to carry. There are plenty of storage spaces inside the cabin, including 17 cup holders! The Volkswagen Atlas also offers many convenience features that will be appreciated by a busy family. The available panoramic sunroof runs almost the whole length of the three rows of seating. Everyone will appreciate being able to enjoy the beautiful sky view which brings just a bit of the great outdoors into each of your drives. Easy access to the cargo space is welcome for busy families with full hands! The Easy Open Power Liftgate takes just a kick of your foot under the bumper to open. Or press the button on the remote to lift the power liftgate. 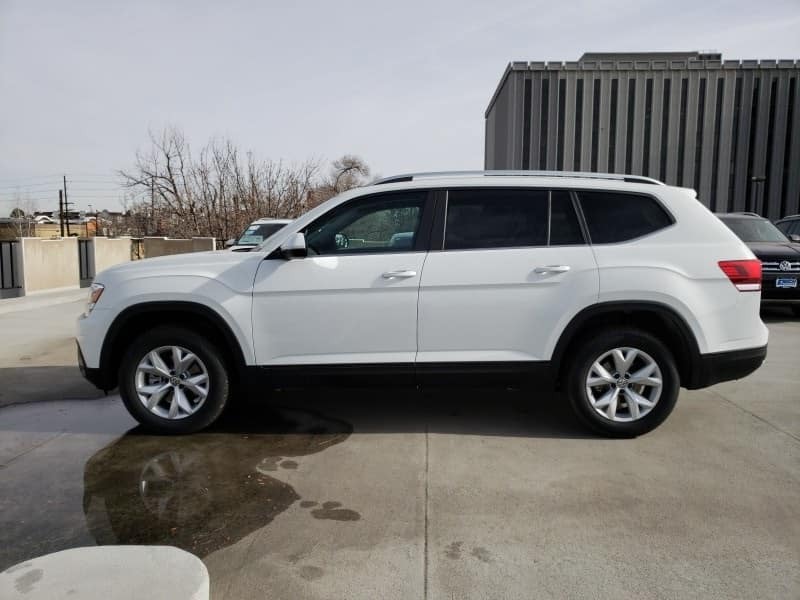 Visit Emich Volkswagen in Denver to test drive the spacious and feature-filled 2019 VW Atlas. Check out the impressive amount of space for family and cargo and try out the many exciting features! Then let our finance experts help you find the best finance option for you to drive home in your Atlas!